I confess: I’m really fascinated by the process of going from shoes to barefoot. I’m surprised at how much less nervous I am this time than I was a year ago. The unknown is a stressful thing but having horses all around me who have transitioned successfully sure does provide a lot of light in the proverbial tunnel. There are plenty of people around who will tell you it’s too complicated. Or it’s cruel. Or their horse wasn’t meant for barefoot. Or any host of other reasons to hesitate. That’s absolutely fine – I’m only speaking of my own experiences. 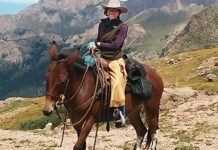 I’m reporting on what has worked for my horse care protocol and how. If you want to make things complicated for yourself, go right ahead. If you would rather see opportunity around you rather than barriers, then I’m with you. 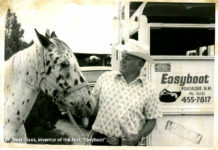 That is the essence of what natural horse care has meant to me for the past year – and that promotion of opportunity really is one of the core values of EasyCare. That’s what drew me in. And my horses are healthier for it. They are consistently sound and there is less evidence of wear and tear from miles on the trail. 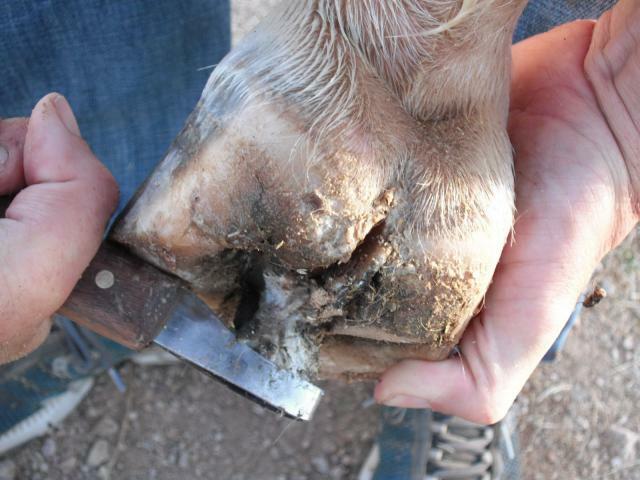 Many people think the horse hoof is better off with a shoe to protect it. 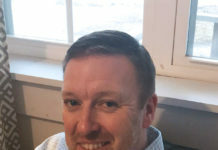 When I look at the most recent transitions around me, I’m far from being convinced. Ricky Bobby is a perfect example. His hoof angles are already more in line with the rest of his form and the changes to his foot have started in a dramatic way. On Saturday I picked up his feet to find the frogs are already beginning to peel. The frog on his left rear peeled clear off this weekend, giving a look into the future concavity around the collateral groove. The dead tissue that was trapped under a shoe and pad is peeling away to reveal a healthy frog and sole. It will be fascinating to watch the growth of the frog now that exfoliation has begun. I live in arid conditions and so his feet are drying out quickly. I can see that he is tender when he walks over rocks in the paddock, but for the most part I see a horse who is comfortable on his feet. 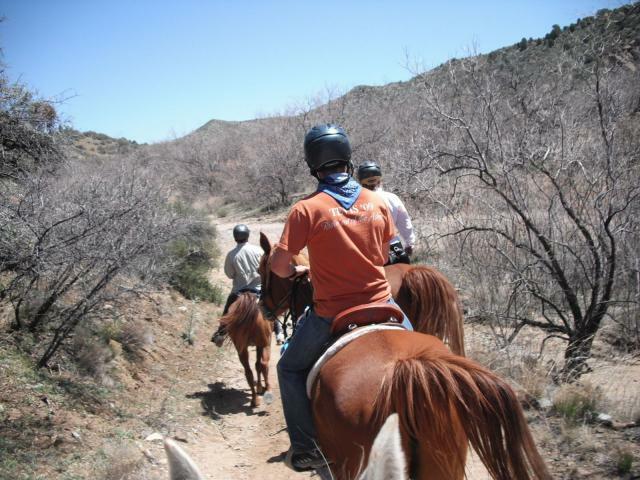 I continue to ride him on a regular basis – obviously using hoof boots out on the trail. I’m riding him a little less than I’d like because his hoof angles are so extreme and his comfort is paramount to me. I’m avoiding rushing him into anything (athough I do have a 50 mile ride already planned for him). He does not take any tender steps with the Gloves on – and he is slowly adapting to the sensation of having hind boots on. There is less foot stamping and he has not shown a buck even once. 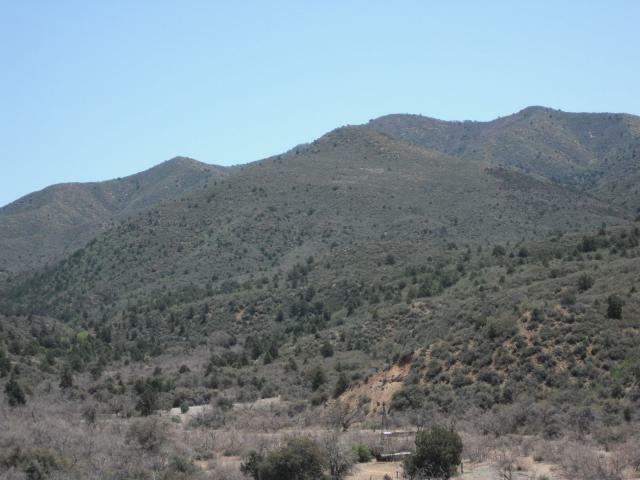 On Sunday we went up into the cooler air of the mountains in Prescott. Michael and Julia Elias took us on a challenging 23 mile loop around Skull Valley. 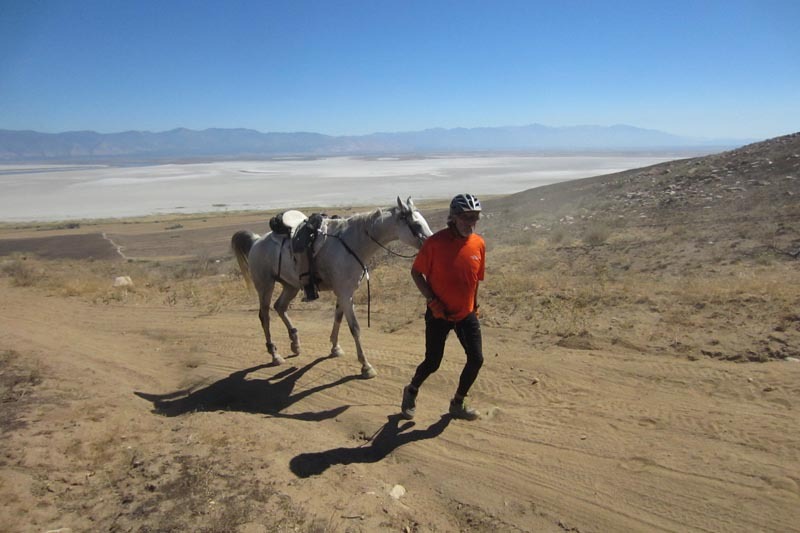 They were both riding horses transitioning to barefoot – one of them has more than 3,000 competition miles. He’s been out of shoes for about six weeks now and the sole was peeling right away from itself, revealing one of the most beautiful concave soles I’ve ever seen. That hoof is an amazing design. 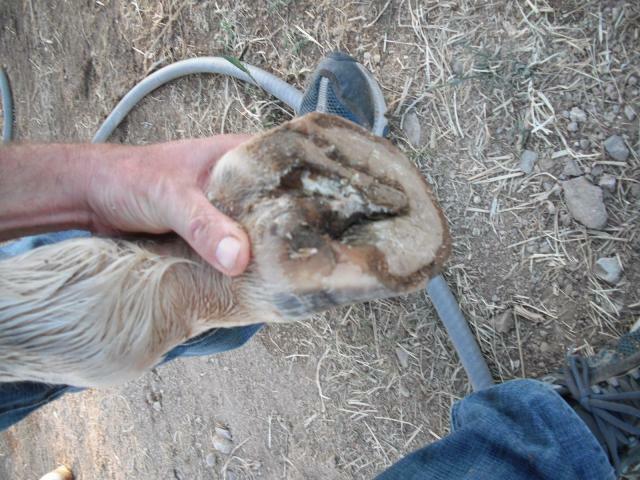 So if you’ve just pulled the shoes on your horse, look for big changes down below. As the foot adapts to it’s new role in life, fascinating evolution takes place surprisingly quickly. And opportunity is all around.